The Fedorin Cup continues to make a difference, one year at a time. 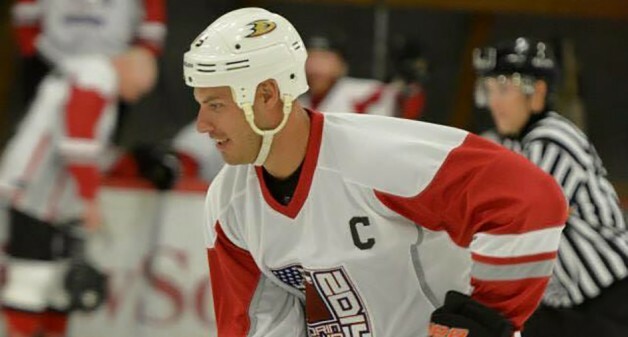 Held late last month at The Rinks-Anaheim Ice, the annual charity hockey game and casino night raises money to fight cancer by hosting a day’s worth of activities that allow participants to be immersed in hockey while being part of a great cause all at the same time. “I thought the event was really well received by the community, and that attendance was probably one of the strongest we’ve ever experienced,” said event founder and organizer Rick Hutchinson. “The game is always pretty-much sold out, but this year, I really felt people got more involved by coming earlier and staying later – that certainly helps raise more money. The event, which started in 1998 to support Eric Fedorin – a teammate of Hutchinson’s who was diagnosed with brain cancer at the age of 34 – has grown into a full day of activities. Hutchinson says this year was the fourth a casino night was held after the game – an addition that’s becoming more and more popular. There were several new additions to this year’s Fedorin Cup, both on and off the ice. The Fedorin Stick Kids patrolled the benches for both sides, as spots were auctioned off for youngsters to get close to both clubs. What’s more, a Mite exhibition game between the first and second periods was a big hit for kids to get out and skate next to current and former pro players. In addition, longtime master of ceremonies and Anaheim Ducks public address announcer Phil Hulett provided hockey fans of any age a thrill by auctioning off recordings of him announcing a Ducks goal – only inserting any person’s name as the goal-scorer. Hulett did it in exchange for a minimum $10 donation, which he in turn gave back to the cause. The support the event receives from both past and present NHL players each year is impressive, and Hutchinson says it’s reached the point where he’s the one receiving phone calls from players wanting to attend instead of him having to make them. As for future plans for the Fedorin Cup, Hutchinson is already hard at work recapping this year’s event and looking at what can be improved on next year. One item high on Hutchinson’s list is getting more sponsors in the mix in an effort to raise even more money for organizations that fight cancer. “Whenever you run a charity event, you’re always conscious of how much money you’re spending, so whatever I can do to get more support to offset the costs of running this kind of endeavor, I’m going to do it,” said Hutchinson.